The Table Set has already led to some super fun conversation topics... How to sneak a bar in your luggage, cooking an ostrich egg, octopus for breakfast, and if it's OK to wine and dine.. yourself. (Of course it is). 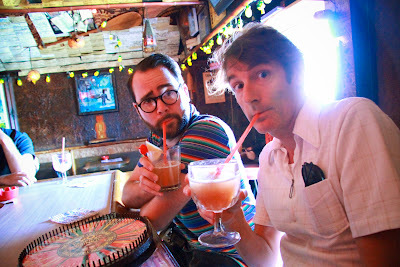 But the most gratifying topic for me so far has been this week's Tiki episode. 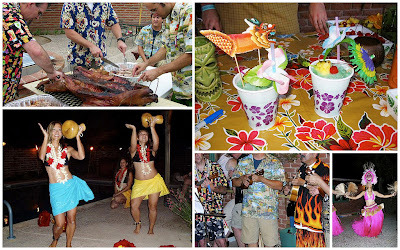 Tiki has long been a passion of mine, seeded by Disneyland, but really warming up a decade ago bartending an annual summer tiki party thrown by my parents in our backyard (complete with Kalua Pig), and being of age to enter Tucson's infamous Kon Tiki. As part of our "research" for this podcast episode, Greg, Andy and I decided we really must meet up for happy hour at the second happiest place on earth, Los Feliz's legendary Tiki Ti. 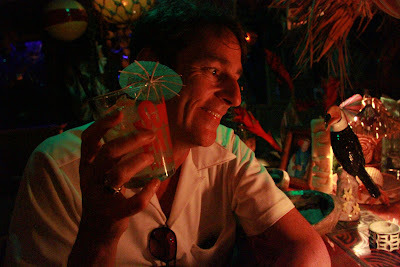 Opened in 1961 by Ray Buhen, a former bartender at the original tiki bar Don the Beachcomber in Hollywood, the Tiki Ti has remained a family legacy, still run Mike Sr. (below) and Mike Jr. Buhen. A tried and true relic, Tiki Ti has outlasted all of its kind in Hollywood and is an worldwide icon - and the closest taste one can get today to Don's original "Rum Rhapsodies." Can't decide between the 90 tropical drinks on menu? Leave it up to the fate of the wheel! 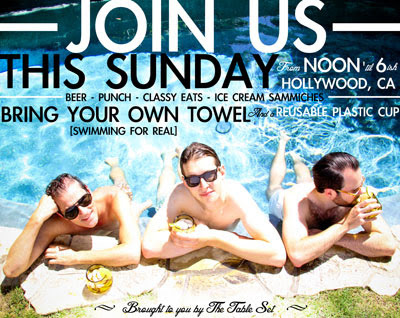 Andy did! I started proper with a bracing, scurvy-fighting Navy Grog. Greg survived the Blood and Sand, poured to the chants of "Toro! Toro! Toro!" from the bar. Round two: Three Mai Tais, please (the real kind!). 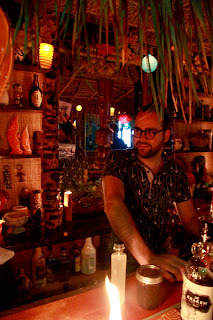 As further research for this podcast episode, Greg gained us access to a private home tiki bar built from scratch in an Echo Park basement. I literally almost fell over when we walked inside. 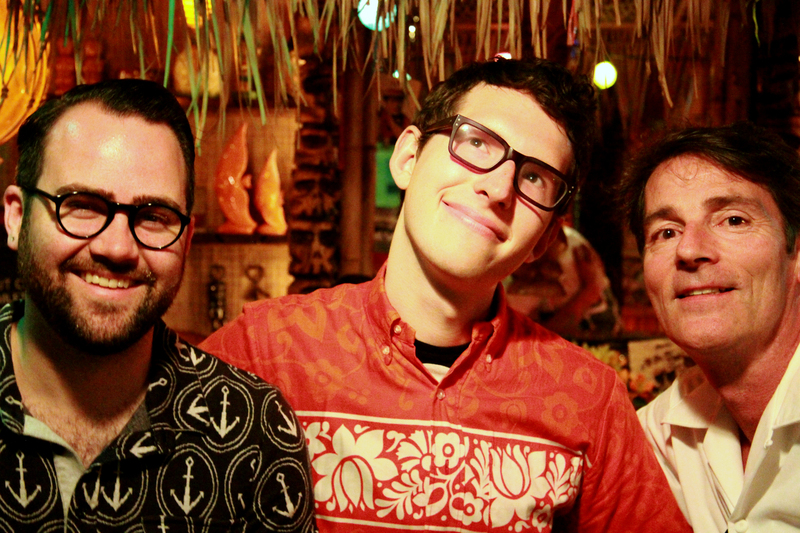 It is basically the culmination of all that is tiki holy. 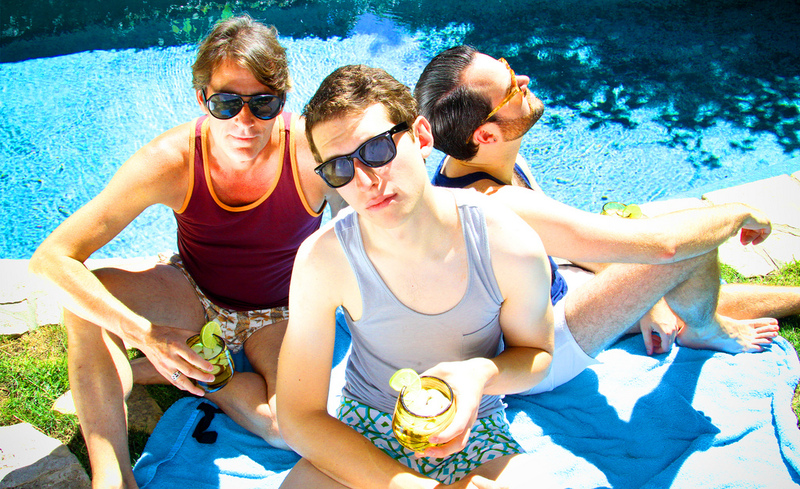 Andy put together this video about our experience. Curious what drink I made? Well that friends would be a Jumbee Bumbo. A whosit? Yep. Naming a tiki drink is a bit like trying to land a domain name. It's probably taken, or ridiculous. But I think this name fits the stormy, spicy, potent punch well. A Jumbee is a malevolent mythological spirit in the folklore of some Caribbean countries, mostly in the Lesser Antilles. Bumbo was a popular potable in the Caribbean during the era of piracy largely because it tasted better than the Royal Navy's Grog, a classic punch of rum, water, sugar, and nutmeg. So... basically it be Ghost Grog! Combine liquids in a cocktail shaker over ice. Crack the cinnamon stick and add. 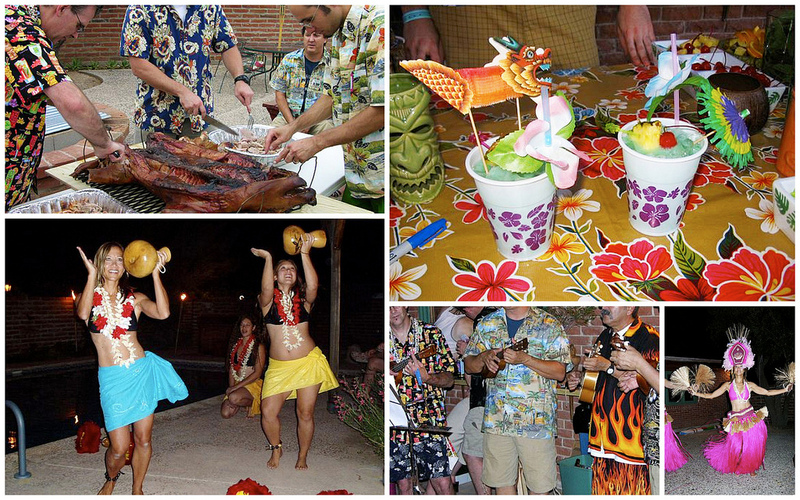 Shake and double strain into an old-fashioned glass or tiki mug filled with crushed ice. Dust with fresh grated nutmeg and garnish with shaved orange peel. And a blue maraschino cherry should you have one! *For hibiscus syrup, stir equal parts evaporated cane juice (or sugar) and water over moderate heat until dissolved. Remove from heat, add dried hibiscus blossoms and cover for 10 minutes. Strain and cool. Keep in the refrigerator. Listen to the Table Set talk TIKI here!